We set an alarm to wake up at 8 a.m., then each packed a small backpack with clothes for the next two days. We were back on the move. With helpful directions from our local friends, we took the metro to Nørreport, then transferred to the train line that goes north up Denmark’s east coast. We ran into a brief, humorous hiccup at the billeter machine when the couple in front of us asked for help buying their tickets in French. Unable to to assist, we tried asking the man standing behind us, who turned out to be Dutch and was equally confused. Between three languages and a lot of fumbling, we all eventually figured out which tickets we needed to purchase. Kurt and I took a 45-minute train ride along the coast while lounging in comfortable seats and charging our phones. European trains are so fast, smooth, clean, and efficient. Our stop, Helsingbørg, was at the end of the line. 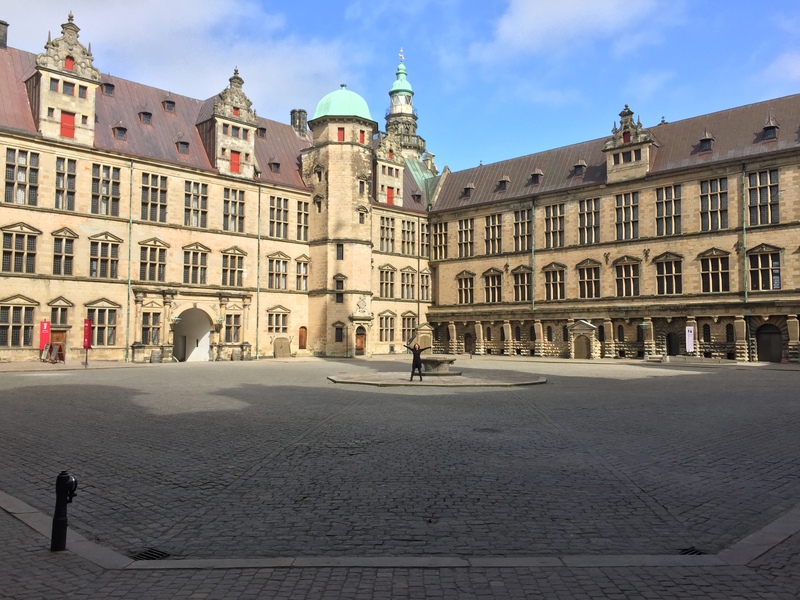 It was a short walk from the station to our destination, Kronborg Castle. The Renaissance-era stronghold, situated on the Øresund Strait, was Shakespeare’s inspiration for Elsinore, home of Hamlet. 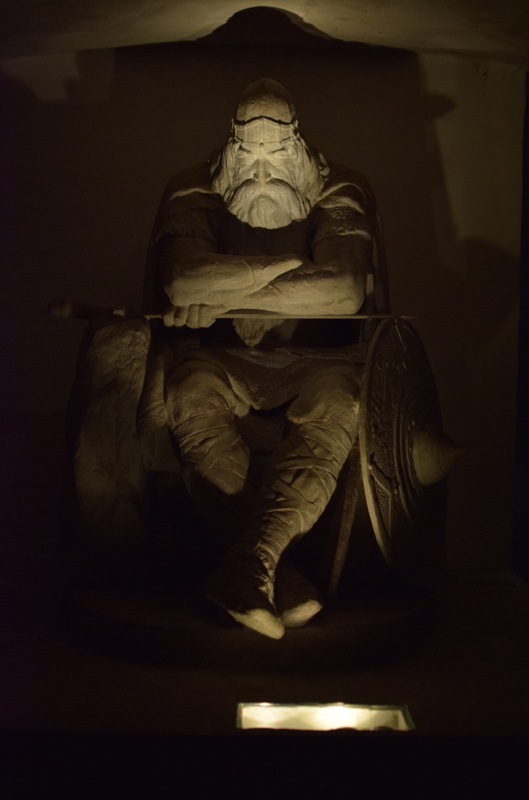 We started with a guided tour of the dungeons, at the statue of Holger Danske near the entrance. Holger is a Danish historical figure and icon whose likeness rests below the castle until the day he must rise up to once again protect and defend his Mother country. The statue is really cool and it made me wonder how many young Danes have tattoos of it. 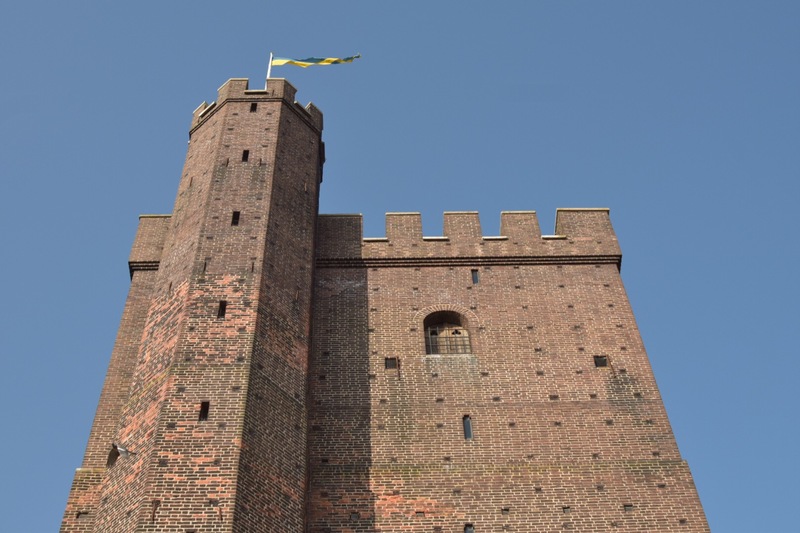 During the Swedish siege of the castle, the Danish infantry were forced to hunker down in the dungeons for 6 weeks. They lived in squalor and cramped quarters, and their only rations were salted herring for every meal and 8 liters of beer per man per day, made from kitchen scraps. We did a self-guided tour of the rest of the castle, exploring the King and Queen’s quarters, the ballroom/banquet hall, the chapel, and the courtyard. An exhibit showed all of the live shows of Hamlet that had been performed in the courtyard; the 1937 production on the grounds of Elsinore starred Laurence Olivier and Vivien Leigh. 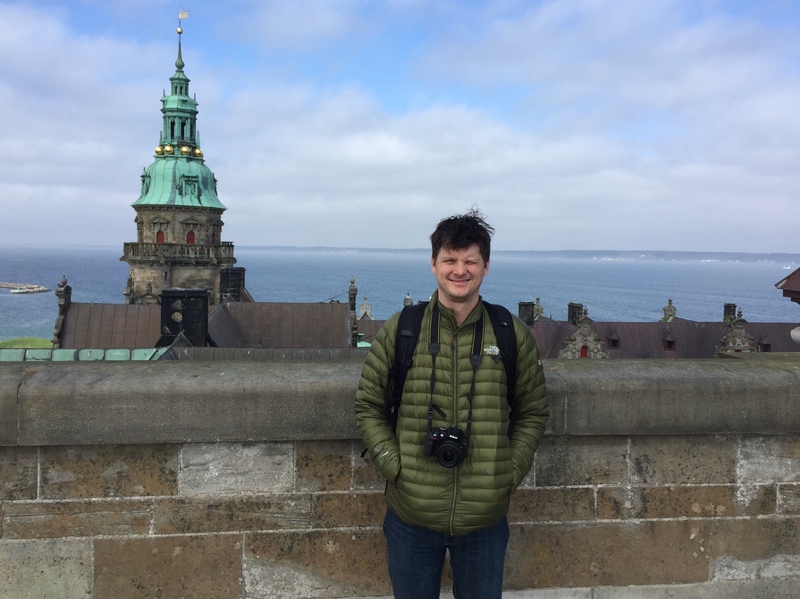 We walked 206 steps to the top of the castle tower, where we could walk onto the rooftop and get an aerial view of Helsingør and Sweden, just across the water. After we finished the Castle tour, we walked around Helsingør and found a small bar that served a traditional Danish lunch. We had curried herring, liver mousse, roast beef, mushrooms and bacon, and rye bread. 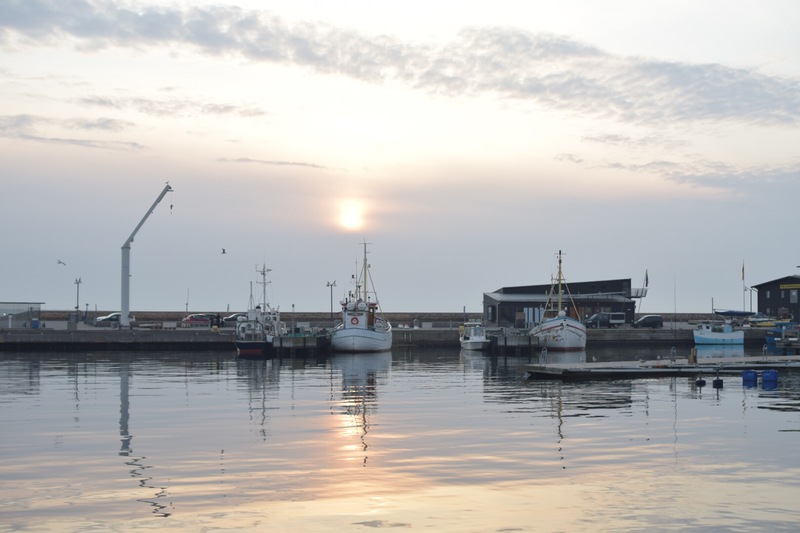 The sun had come out, and the seaside town looked picturesque next to the sparkling water. We walked back to the train station, where we bought our tickets for the Scandlines ferry to take us to Sweden. After a brief 20-minute ride across the strait, we arrived in Sweden! We showed our passports at the gate and walked into Helsingborg. It turned out that many of the attractions we were interested in seeing closed at 6 p.m., so we dropped off our things at our hotel and headed right back out. Kärnan is a medieval tower located in the heart of Helsingborg, the sole remains of a larger seaside fortress. 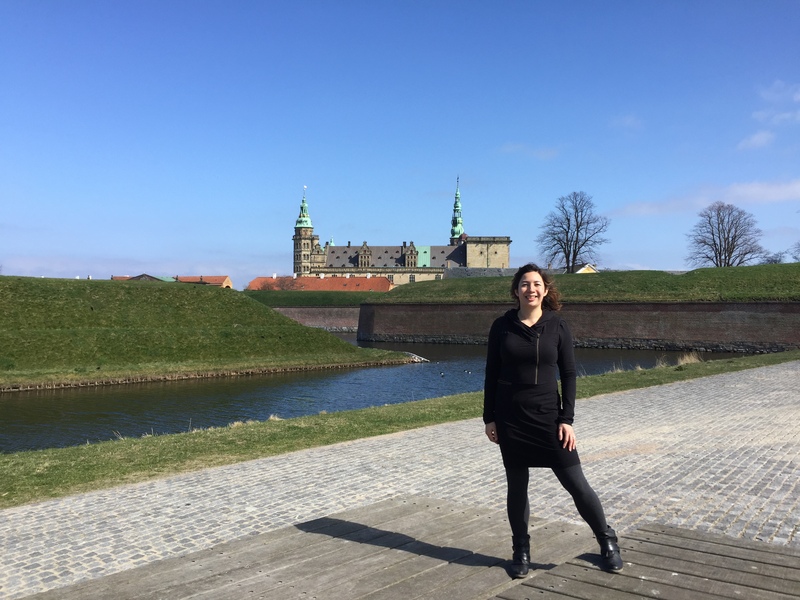 After hearing all about the “bloodthirsty Swedes” during our Kronborg tour, it was funny to read the depictions of the war from the Swedish point of view where they bemoaned the many times the Danes had occupied their side of the strait. Kärnan was surrounded by a large park with a hilltop view of the sea, so we took a stroll and enjoyed the beautiful weather. As the afternoon grew later, we took a walk along the water and stopped for a glass of wine at a seaside restaurant. Most of the people we saw walking along the water were tall, blond, and dressed in head-to-toe black; the local lewk was Scandinavian goth realness. One thing I noticed in both Sweden and Denmark was that as soon as the sun came out, people flocked to outdoor spaces to drink in the rays. The waterfront path became packed with joggers, walkers, and groups of friends grabbing chairs or patches of grass to lay out and enjoy the beautiful day. In that way, Scandinavia reminded me a lot of Chicago. After a long, dark winter, we flourish in the longer days of late spring. It had been a long day of walking and sightseeing, so we made it an early night with a quick shawarma dinner and a shared bottle of wine back at the hotel.